f you had wandered into the Westchester Marriott &apos;s parking lot recently, you might have sworn you were in a time warp. Some 40-year-old Ford Torinos and Volkswagens filled a section of the lot. Nearby, dull green-fringed poolside umbrellas replaced brightly colored ones and inside, 1970s-era furniture transformed the lobby. A new decorating scheme? Hardly. Stagers were readying the place for a production crew to film scenes of the upcoming HBO movie The Bleeder, starring Liev Schreiber. It was an easy fit, said hotel Director of Operations Gary Byrne, as the hotel was built in 1980, but in a style that still suited the previous decade. Like the Marriott, Westchester hotels are open for business when it comes to filming movies, TV shows and commercials. And Westchester County&apos;s film office staff is always eager to help. So, when the script calls for a hotel room, a pool or ballroom, hotels here get ready for action. Set in urban centers such as New Rochelle and White Plains, and in suburban and even rural communities throughout the county, hotels offer production companies the same benefits the hospitality industry offers everyone – plenty of space for parking (often including trailers), and a staff that is used to fulfilling requests with a smile. Even when the filming takes place somewhere off-site, the hotels make convenient and comfortable lodging for cast and crew. While filming the 2007 finale of the HBO hit The Sopranos, cast members stayed at the Marriott, Byrne recalled. "They were coming back from the set still in character," he said. When Lucy Liu, who is a single mother as well as an actress, stayed recently at the Westchester Marriott, she asked for an extra room for her baby sitter, Byrne said. The request, which is not an unusual one, was easily filled. 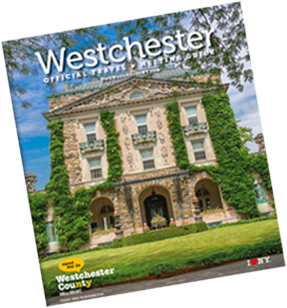 Westchester&apos;s history in film is well-known. Playland Amusement Park in Rye was the site where the boy in 1988&apos;s Big found a mechanical fortune-teller to grant his wish to grow up (into Tom Hanks). Sing Sing Correctional Facility has been in many movies (generally typecast as a prison). But hotels have also had their moments of fame in well-known movies. Much of the 1970 hit Lovers and Other Strangers was filmed at The DoubleTree by Hilton in Tarrytown, said General Manager Richard Friedman. The staff still talks about it, he said. More recently, the DoubleTree doubled as a hotel in Virginia as the Fox show The Following with Kevin Bacon filmed an escape sequence, according to Friedman. Westchester hotels are also popular locations for commercial shoots, he added, recalling an American Express commercial filmed poolside at the DoubleTree two years ago. Hotel managers say they find it easy to accommodate the crews and directors to allow the shooting to take place while guests continue to enjoy their stay. "They&apos;re very good to work with," Friedman said of the crews. The filming is good for the hotels, too, Byrne said. "It suits them and it suits us," he said. "The guests get a kick out of it." The guests are OK with reasonable restrictions to keep them from interfering with the filming even if they can&apos;t entirely resist the urge to see what&apos;s going on. "They&apos;re looking for Tom Cruise," Byrne said.